Oh the Places You'll Go — G & P Co. It's been a year since our trip to Berlin, Prague & Amsterdam. I thought it might be finally time to share some pictures. We had so many spectacular experiences, it will be a trip we remember forever. A short story before you go. 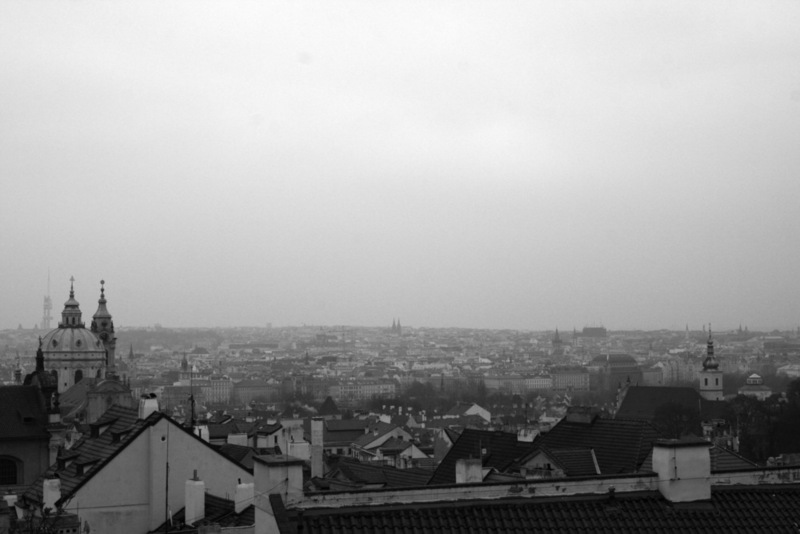 Our first day in Prague, we hiked up to Prague Castle, to see the castle, yes, but also for the view. When we arrived, an elderly man named Slavik (pictured above with PJ) approached us and asked if we wanted a tour--we were skeptical--but then noticed he had a sack lunch (and was wearing that hat), so we decided to give it a go. He told us amazing stories not only of the history of Prague Castle, but of his life, having lived through both Nazi and Soviet occupation. He was one of the few allowed to leave during the occupation because he was a part of a choir who did performances around Europe. When we were about to part ways he said to us, "It is amazing we can be friends when two generations separate us." And how this statement rings true! How many more generations separate us from those who walked across Charles Bridge in the 14th century, or built the very foundations of the cities we visited and awed over, and yet their stories and legacy live on and strangely maintain relevance in the midst of our digital age.